Marilyn¹s Man is a 92 minute Feature Documentary that debunks the myths about Marilyn Monroe and her legacy. Through the eyes of Jim Dougherty, the truth about Marilyn Monroe and her early life as Norma Jeane Baker is revealed in captivating interviews with this Renaissance Man. Clearly, without Jim Dougherty, Marilyn Monroe would never have morphed into the Icon Hollywood Superstar that she became. Most importantly, Jim was her Svengali, her first lover, and her friend for life. Even though Hollywood seduced Marilyn into the world of bright lights and stardom, she still yearned for Jim, despite the veiled threat of ruining her meteoric career. In effect, the Hollywood moguls threatened her, and beguiled her into leaving Jim Dougherty, her doting husband and friend for the lure of mega-money and celebredom. But the price was steep, and she was victimized by the nefarious world of Tinsel Town. 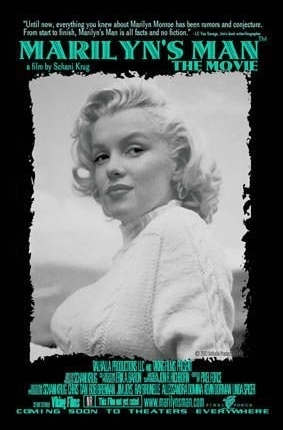 The film features numerous unseen photos and rare clips of Marilyn Monroe, integrated with mesmerizing interviews with Jim Dougherty, as well as other individuals that knew the truth about her legacy, such as LC Van Savage, Jim¹s biographer and co-author of his highly sought after book, To Norma Jeane With Love, Jimmie. was truly a shrinking Violet), makes this film an indelible experience. Not only does Jim¹s uncanny ability of total recall come through the film, it is dovetailed with his humor as a comedic story teller and raconteur. But his photographic memory of minute details of his and Marilyn¹s life together is compelling. 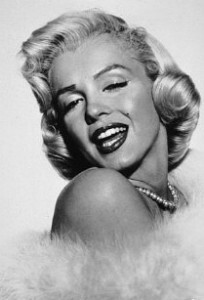 Aside from his legacy as Marilyn¹s first boyfriend and husband, Jim¹s life as a famous LAPD officer is revealed. Not only did he create the first S.W.A.T. team, he was a cop that was feared by the most dastardly criminals of his day. And his stories in this regard will make the viewer¹s jaws drop in disbelief. Keeping in mind that his relationship with Marilyn was longer than any other man (he started dating her at Van Nuys High School when she was just 15, and he was 20), one can only imagine what it was like to know her inner beauty and soulful persona. But Jim did, and he reveals it in a most magical way. And to be the first to kiss her lips, and know her better than anyone alive was more than just puppy love, it is a legend. In effect, as we watch the film, it seems as though one is spending a day with Jim, fast-forwarding through episodic stories of Marilyn that wiz by in just minutes, or so it seems. The nostalgic soundtrack sweeps you back into the 1940¹s, and whisks you through the 50¹s, and enraptures you through Marilyn¹s final days, and her untimes and tragic death at the tender age of 36 on August 5, 1962. The scenes will make you laugh and cry, and are an emotional roller coaster ride. This 92 minute film was painstakenly shot over a one year period throughout Maine, in beautiful locales that captures Jim Dougherty in a world of his own. © 2003 Valhalla Productions All rights reserved.